How a desire to appease tradition has led to the uncanny creation of rampant grave robbing in China. 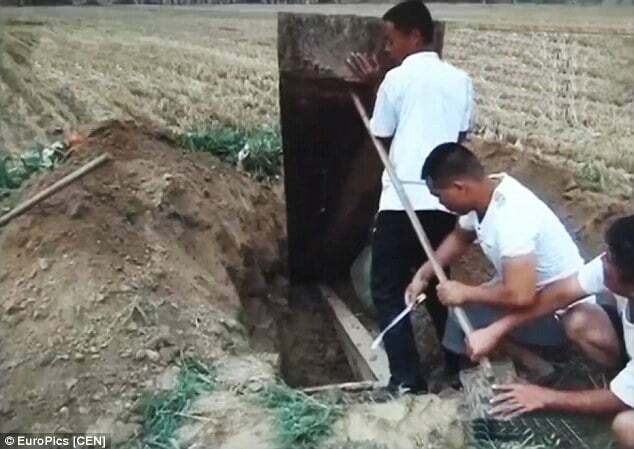 A Chinese gang specializing in the digging up of female corpses to be married of as real life corpse brides has been exposed after a gang member was questioned in relation to unrelated stolen artifacts. During interrogation, the thief, Wang Tsou, 34 confessed that he had also taken the body of a young woman from the local cemetery with his friends. 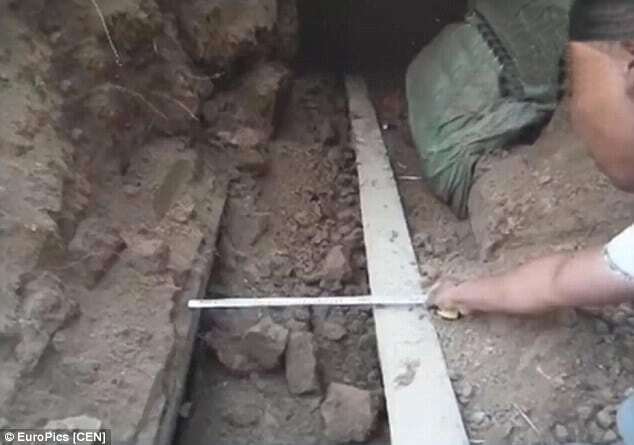 The body that was dug up in Juye County near Heze City in China’s Shandong Province was then sold to a man for the equivalent of $3200 and was then sold on again for double. Tsou’s confession led to a further ten people being arrested and police say an investigation is ongoing. Told Police spokesman Zhang Linhai: ‘Although the bicycle thief was only a small player, his arrest and surprise confession led to an unraveling of a network of people involved in the sale of stolen female bodies. In China, ‘ghost marriages’ are an ancient custom – but they are now illegal and carry jail sentences of up to three years for anyone who steals a dead female body. China’s Communists have attempted to stamp out some traditions, including ghost marriages, since taking control in 1949. The families who buy the dead female bodies do so in order to satisfy tradition by carrying out a marriage service with a living or dead man. Ghost marriages are sometimes carried out to fulfill the requirement that a dead man should not pass into the afterlife without a wife or that an older brother needs to marry first before the younger brother can. Some believe that men who are buried alone will bring bad luck on the families for future generations. This in turn has set up a lucrative market in which grave robbers dig up bodies in an attempt to make large sums of money for very little work – with the only necessary caveat being that the corpses need to be fresh. A body that has already started to rot is worth very little, and a skeleton of a dead woman is worth nothing at all. Last year, four men were jailed for digging up female corpses in China and selling them as brides. The men admitted to stealing the bodies of ten women which they then sold to the families of bachelors to stop them wandering the afterlife alone. A court in the northern province of Shaanxi said last year the gang of men had abused the ‘bad tradition’ of ghost marriages and were jailed for 32 months each. Before that, another gang of grave robbers were caught trying to sell a dead woman days after her family had already tried to use her as a ghost bride. The woman’s body was snatched and the gang of five offered the woman to another family for $4800 before they were caught.